All women have their own problem areas such as abdominal fat, flabby arms, a muffin top, sagging breasts and so on. But all these problems can be solved using healthy nutrition and proper workout routines. If you want to lose a few inches off your waist, you should adhere to the regime. It is important to find a good training routine to get a smaller waist and washboard abs. We would like to show you this short workout that can help you achieve great results. When it comes to belly fat and a muffin top, it can be really difficult to deal with these problems. This training plan consists of strength training and a cardio routine. Before you start exercising, make sure you have a set of ten to fifteen dumbbells. Training with weights will promote greater fat burning. When you finish performing these four moves, you should perform a ten-minute cardio routine to burn more calories. 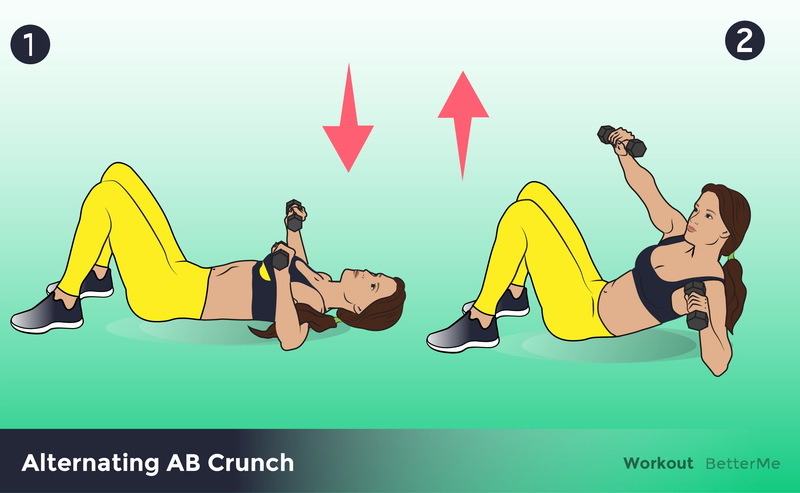 This ten-minute workout consists of easy exercises such as bird dog crunches with dumbbell, plank elbow push-ups, plank cross toe touches and flat crunches with dumbbell. When you finish a workout, you should rest for five minutes and get ready to perform a cardio routine for an additional ten minutes. It may be running, jumping rope moves or boxing. 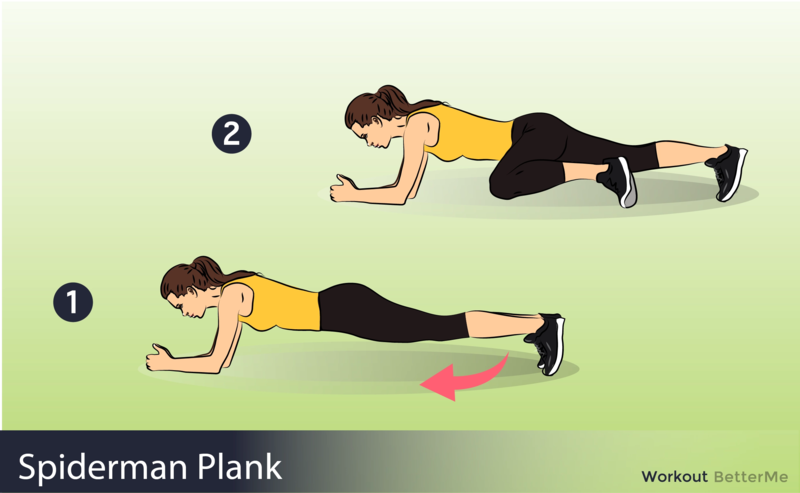 These four moves are aimed at sculpting your ab muscles in order to get them in shape. Are you brave enough to try performing it? It is time to stop talking and start exercising! Scroll down to see the instructions in order to avoid injuries. You can do it, ladies!